Lymphoma is another word for lymph node cancer, which is responsible for approximately 5% of all cancers. As with any cancer, if a physician can diagnose it in the early stages, the success rate is a higher and the treatment is often shorter. Still unknown for what causes lymphoma; however, studies connect it to the Epstein-Barr virus and medications. People with HIV are at a higher risk of developing this type of cancer and so are those who are exposed to herbicides and pesticides. Statistics shows that more men are diagnosed with this type of cancer than women, but it is not currently clear why. The groups that are most at risk of acquiring lymphoma are people who are between the ages of 15 and 34. After that, the risk is low until about the age of 54 years old. When there are symptoms of this cancer a physician will take a medical history, note symptoms, and then do tests to diagnose the cancer. The tests include node biopsy, scans, and blood tests. These tests will result in one of two types of lymph node cancer being diagnosed. Hodgkin’s Disease is one form of lymph node cancer that almost everyone has heard of even though it is actually a rare form of lymph node cancer. Some of its symptoms include night sweats, unexplained weight loss, constant fatigue, and unexplained fever. 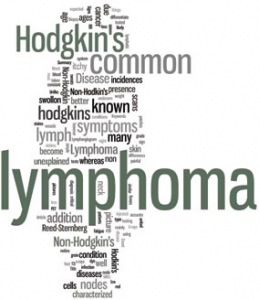 Non-Hodgkin’s Lymphoma is the second type of lymph node cancer, which is the most common lymphoma. The symptoms are the same as the symptoms of Hodgkin’s disease. A family history of this type of cancer puts a person at a higher risk of developing it regardless of their gender. Treatment for lymphoma includes radiation, chemotherapy, or a combination of both. According to the International Prognostic Score , the five-year FFP and OS were 78 and 90%, respectively. An early diagnosis results in a better chance to cure or control the disease, which results in the cancer survivor going on to live a healthy normal life. There are many forms of innovative treatments available thanks to the fact that the medical community has gained a greater understanding of this form of cancer during the past few years. In fact, many treatments that use to be experimental have found their way into mainstream treatment. A lymphoma diagnosis combined with a fighting spirit that doesn’t accept defeat will be what it takes to be among the many survivors of lymph node (lymphoma) cancer.